The Chicago Auto Show literally just ended from a media perspective, but Mazda is wasting no time shifting to the next show. 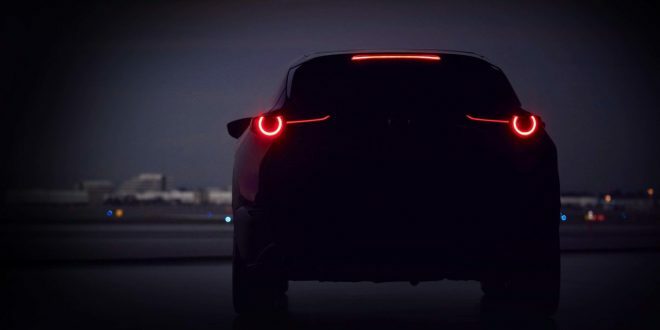 The automaker has released an official teaser of an all-new SUV it will reveal at the Swiss show. Mazda, of course, is not officially naming which new SUV is in the teaser. What we do know is that the SUV will leverage the latest iteration of the company’s Kodo design language and be built on Mazda’s next-generation SkyActiv architecture, just like the new Mazda3. Reading between the lines, it is likely this SUV is a new Mazda CX-4. It’s certainly too wide to be a new CX-3 and the CX-5 was just refreshed, so that would make no sense either. The SUV in the photo appears to be closer to the CX-5, perhaps with a more rakish roofline. A CX-4 actually already exists, but Mazda only sells it in China. Given its Geneva reveal venue, one could speculate that the next one will be sold globally. Consumer preference for SUVs globally is likely the reason for the expanded market presence. The current CX-4 in China offers buyers a more coupe-like appearance in a crossover that is similarly sized to the CX-5. In an era in which it seems no brand can ever have enough crossover models, the CX-4 will likely do well for the brand in the U.S.
Expect all the details and photos of this mysterious Mazda next month at the Geneva Motor Show.